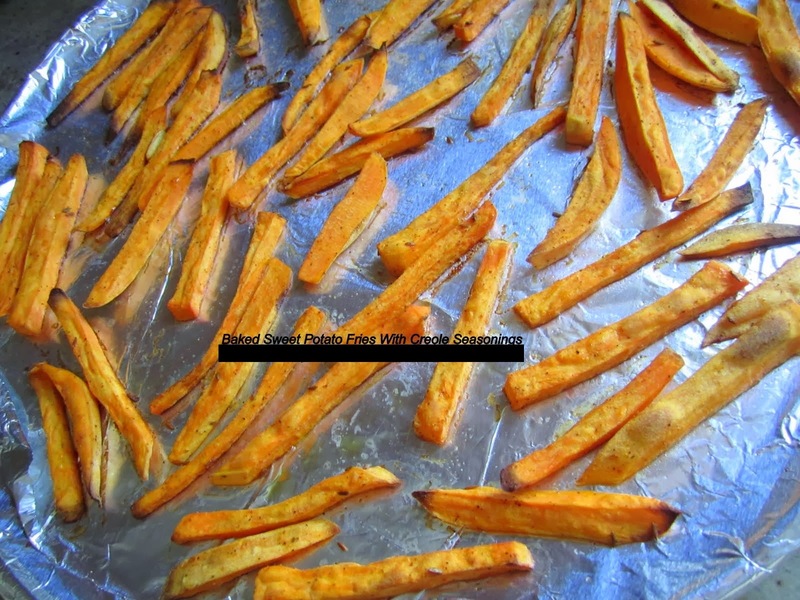 Potato snacks are generally everyone's favorite and this one being oven roasted, is definitely healthier compared to the deep-fried French fries version. 1-Pre-heat oven at 300 degrees Fahrenheit. 2-Cut the potatoes into sticks. Peeling potato is optional. Sticks should be about 1/8 the size of a regular potato french fry. 3-Mix oil, salt, turmeric powder, chili powder and potato sticks in a bowl. Add curry leaves. 4-Line a baking tray with aluminum foil and spray some oil to coat it. Arrange potato sticks on the tray such that the sticks are all in one layer. 5-Put inside the oven for about 15 minutes, then check. Move the sticks around if needed. The total roasting time would be around 30 minutes. 5-In the end, put oven on broil for about 3 minutes and keep checking every 30 seconds to a minute to make sure the potatoes don't brown much. 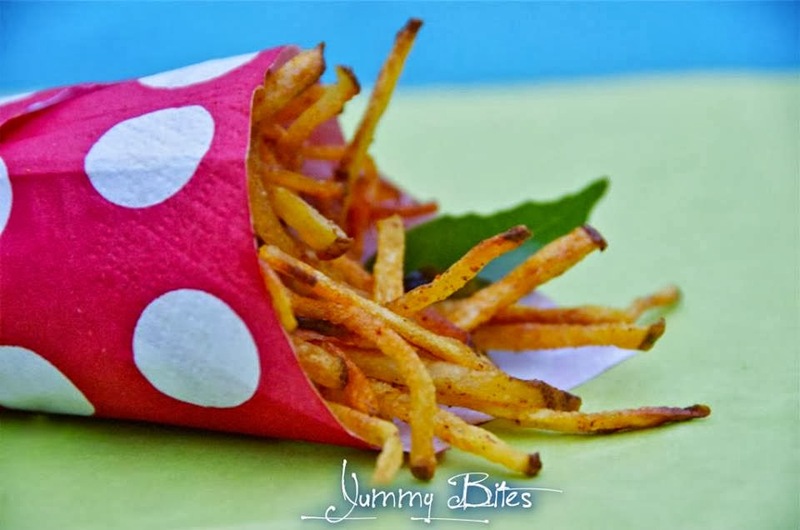 The texture of the sticks would be between semi-crisp and crisp, depending upon several factors, but definitely would be crispier than the regular french fries. Multiple the recipe for more serving more people.